The Patriots are on the road for the second straight week, and this time they're in Mexico City to take on the Oakland Raiders. Coming off their bye, Oakland possesses one of the NFL's marquee young quarterbacks in Derek Carr, a star young wideout in Amari Cooper, and a fearsome pass-rusher in Khalil Mack. Will New England be able to take down the Raiders in the Estadio Azteca, or will the underdog come out on top? If you have Tom Brady, you have to start him. It's not a debate. If you have Derek Carr, you should probably start him as well. He's recorded over 300 passing yards each of his past three games, and he's finally at least beginning to look like the electric player he was last year. 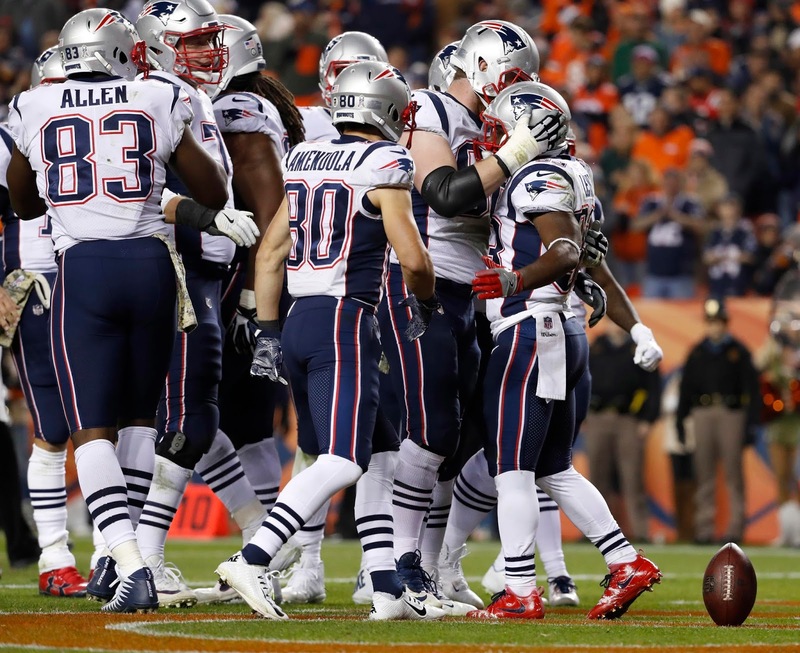 Turnovers are his problem: he's thrown three interceptions the past two weeks, and this Pats defense thrives on creating those momentum-swinging plays. I think the potential for yardage and some TDs here is good enough to put him in your lineup unless you're carrying another bona fide QB1--just don't get unreasonable expectations. 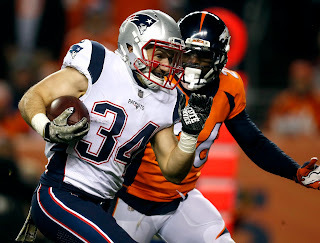 Rex Burkhead outsnapped Dion Lewis 36-21 on Sunday Night. After seeing 10+ touches in two consecutive games, he can be trusted as a flex or even a lower-tier RB2 in PPR. And while Lewis scored in Denver to salvage his game for owners, his yards per carry average fell below 4.0 for the second game in a row. Downgrade him to the flex, especially with Burkhead's emergence as a capable between-the-tackles back. Finally, James White should keep humming along on passing downs. He won't receive much work but he retains PPR value as a pass-catcher and scoring threat. The Raiders' Marshawn Lynch has carried fantasy owners based on his TD production. If he manages to score against the Pats he'll be a fine option, if not he'll record around 50-60 yards on 15 carries and be a completely mediocre back. I wouldn't be too comfortable with him in my starting lineup. Chris Hogan won't play once again this week, meaning Brandin Cooks and Philip Dorsett should start once again with Danny Amendola working out of the slot. This will be Dorsett's third start of the season--last week he played 70 percent of the offensive snaps but only caught two balls for 16 yards. Unless you're really desperate, he shouldn't be in your starting lineup. He just simply hasn't shown enough experience to risk a play here and his value will disappear as soon as Hogan returns. Last week we saw running backs (Burkhead and White) pick up a lot of that slack, combining for 6 receptions while Amendola caught only 4. At this point, it's becoming clear (if it hasn't already) that Amendola should not be in your lineup on a weekly basis. Cooks is a WR2 this week unless he scores. 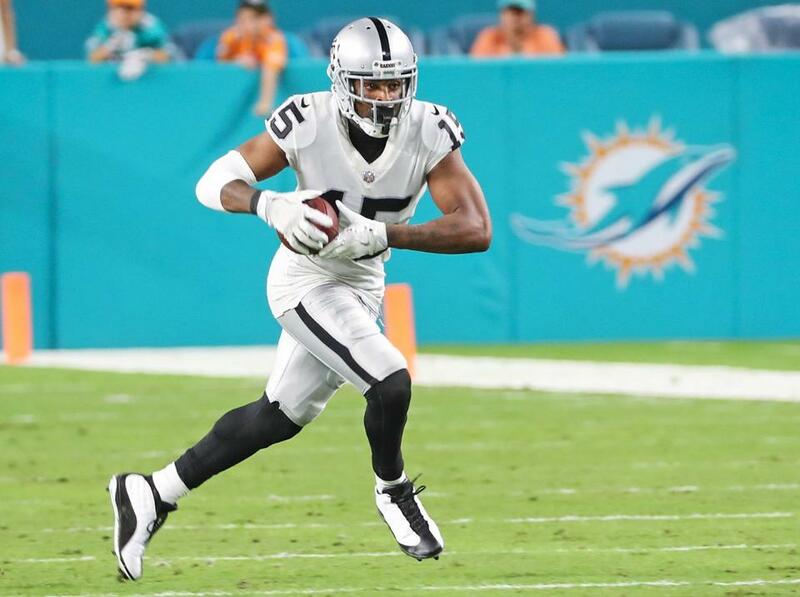 Oakland's Amari Cooper-Michael Crabtree dynamic duo has been on and off this season. While Crabtree has recorded more consistent yards production, Cooper has seen more catches the past few weeks. If you've got them on your team you're probably starting them based on the resources you've invested in them. Crabtree will most likely get his yards again Sunday, and Cooper is an athletic freak who had over 1,150 yards last year--but I'd still be wary about placing too much confidence in them. Anything above a mid-to-low WR2 isn't appropriate. 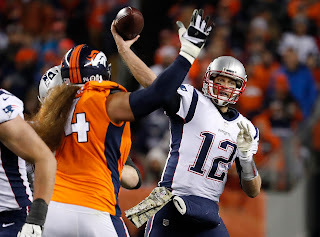 Rob Gronkowski finished last week's game against Denver with a pedestrian (by his standards) 4/74/0 statline. That would look a lot more appealing if a 20+ yard TD catch wasn't ruled incomplete after review. Against the Raiders, I think he'll continue to get involved but might suffer a bit if the Pats decide to lean more heavily on the run game. Still start him, obviously, but this might not be his biggest week. 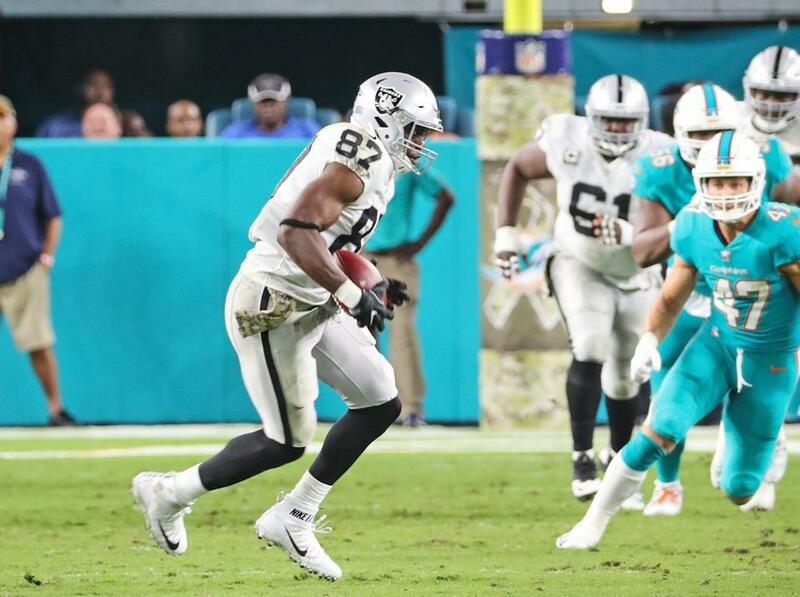 The Raiders' Jared Cook has racked up over 100 yards in two of his past three games. I don't think he breaks triple digits again against Bill Belichick, but if he's on the waiver wire and you need a tight end you could do far worse than him, especially in PPR formats. He's become one of Derek Carr's most reliable targets recently. After an impressive performance against Denver, the Pats are once again a viable fantasy option on defense. While Derek Carr is one of the league's premier quarterbacks, Oakland has only topped 30 points in a game once since September 17. Against this defense, at altitude, I don't think they'll crack 27. The Raiders defense has only finished with double-digit points once in the season. Avoid them against Tom Brady. For kickers, Stephen Gostkowski is the better option but Giorgio Tavecchio has shown accuracy from distance. He's an interesting streaming add if you're looking for a last-minute option.